update v242.8 is now live!!! - New Item: Gas Mask! - New Item: Chain Bola Ammo for Ballista Turret! - New Structure: Retractable Rope Ladders! - New Mechanic: Custom Tripwire Alarm Notifications via SurviveTheArk.com (E-mail and Forum). Optionally Tribes can post to arbritrary URL, if they have a custom system! Now if someone's raiding your base, you can get on top of it! - New Item: Fishing Rod. It's finally a-happening! - More Creatures, Gear, Armors, Weapons, & Structures! 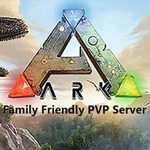 - Underwater Dungeons, Tek Caves, "Ascension" Game Progression, "Boss Wars"
Note: we have added several new "PvP-OfflineRaidProtection" servers, which are permanent, to gather feedback on the new offline raid protection mode. Please try it out and let us know what you think! * Multi-Threaded networking system for substantial (~15%) sever performance improvement. More perf gains to come soon too! * Fixed exploit where Chairs could be used to clip into people's bases.